Partnering with our Miami clients over the past 10 years has given us the business and technology experience to provide expert IT planning as well as smooth and effective project deployments. Not only are we available to support your technology, we are here to consult and assess your business to leverage the best possible solutions. 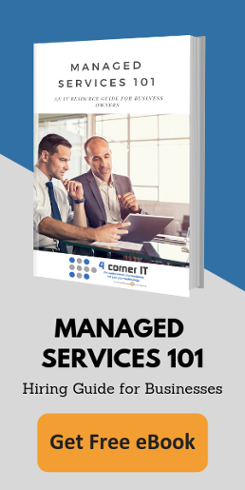 4 Corner IT provides these consulting and deployment services for any size business and can assist in the planning, preparing, and execution of your next project. Planning is the most crucial stage in any endeavor which is why our team is documented, organized, and efficient. The fact is, many companies with great concepts fail everyday simply from under exposure, poor support, or a combination of both. 4 Corner IT has been a trusted IT consultant in South Florida for over ten years, watching our clients grow thanks to proper planning and execution. Choosing a project planner can be easy, but making the right selection may not be. Being your partner and consultant means doing it right the first time, from the ground up. For IT consulting and project deployment, you can rely on us. We hope your Miami-based business chooses us to be your IT consultant and partner so that it too can become another success story! If you are not looking for a flat fee support agreement but need assistance with a sensitive IT project, we can help with that too. Weekend migrations and cloud conversions are virtually transparent to your users while providing full documentation for future IT staff. Our projects are billed on a flat fee and our consulting always keeps your business needs in mind.